MARICOPA, Ariz. An Arizona woman who knew she couldn't compete head on with her neighbor's elaborate Christmas light display is attracting attention for her response. 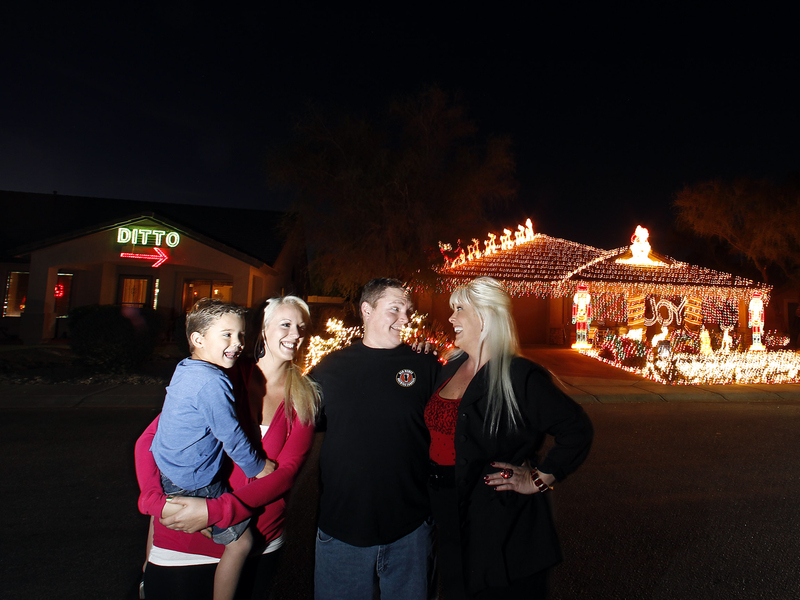 Using red and green lights, Kristina Green of Maricopa spelled out the word "ditto" and made an arrow pointing toward her neighbor's home. KNXV-TV reports that Green's display is made of around 600 lights. Her neighbor's set-up has about 16,000 colorful lights. Green has created a Facebook page for her "ditto" sign. Last year, a family in Beaverton, Ore., also erected the word "Ditto" with an arrow on the side of their own home toward a neighbor's house as part of an online movement.